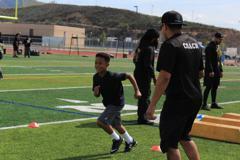 We are the premier youth football and cheer organization serving Santa Clarita and surrounding areas. 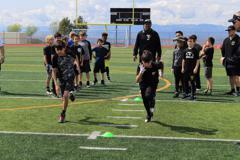 Our goal is to develop exemplary student-athletes prepared for high school and beyond. Safety is our top priority and all of our football coaches are "HEADS UP" certified by USA Football. 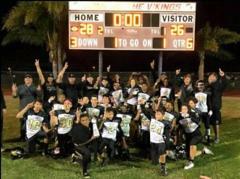 We are a non-profit organization and longstanding members of the Gold Coast Youth Football League. 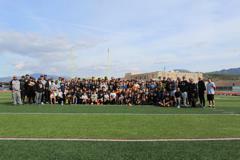 Great turnout to Grizzly Training Camp! 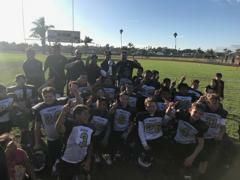 Congrats to our Sr team for winning the Super Bowl against a great Simi Valley Bulldog team. This is the 3rd Super Bowl for this team in 3 years. Awesome job for our Junior team to win another Jr title at the American Division. Congrats to our Soph Gold for winning the American Conference Championship in 2017. Go Grizz! Join a Winning Tradition -- Grizzly Cheer 2018! Since 2002, Henry Rios and his team of automotive professionals have been serving Santa Clarita residents with integrity and expertise in the auto repair industry. SCV Import & Domestic Car Specialist is located on the corner of Ruether and Soledad Street in Canyon Country, at the heart of the Santa Clarita Valley. 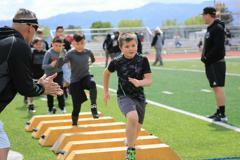 ©2019 Santa Clarita Grizzlies / SportsEngine. All Rights Reserved.